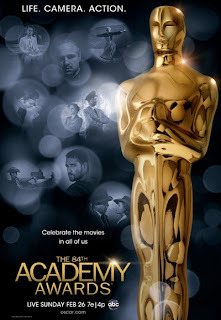 Every few cycles the Academy of Motion Picture Arts and Sciences give up on trying to appeal to the elusive young ‘uns and play to their loyal audience of blue hairs. Sunday night was such a night. 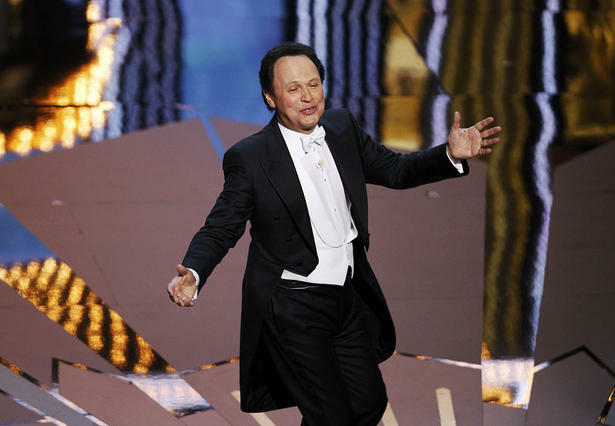 In a nice recovery from 2011′s flop-sweat-stained Oscarcast, which saw Anne Hathaway and James Franco miserably failing to bring youthful cool to a ceremony dominated by the decidedly uncool The King’s Speech, Billy Crystal presided over an evening that was well-paced, confident and entertaining. It was well-suited to the cinematic year it was honouring; reasonably strong, with scattered instances of greatness, but not particularly remarkable or destined to linger in the collective memory for very long. Despite a bumpy opening, wherein most of Crystal’s traditional song medley was (mercifully?) drowned out by muddy audio, the show recovered with a series of fastball jokes that helped goose the energy. Some of the gags were pretty corny, if not downright out of touch (Mother of Pearl, kids are watching movies on phones?! ), but they came quick enough that even the clunkers were mostly forgotten. The nine-time host was at his best when he indulged in his talent for winking snark, noting the absurdity of “millionaires presenting each other with golden statues” in the current economy, or acknowledging the emergence of a giant songbook prop with a bored “Eh.” He also scored big with a gravel-throated impression of gruff Warrior supporting actor nominee Nick Nolte. Trophies were handed out with refreshing regularity, and speeches kept fairly short and snappy (not many shout-outs to accountants and lawyers, thankfully). As expected the silent movie homage The Artist won best picture, director for Michel Hazanavicius and leading actor for the suave Jean Dujardin (“I love your country,” the star exclaimed at the start of a charming speech that closed with an ecstatic impromptu soft-shoe routine), while popular faves Octavia Spencer and Christopher Plummer scored in the best supporting categories for their turns in The Help and Beginners. 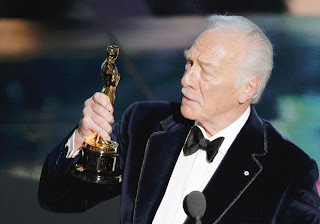 At 84, the ever-classy Plummer officially became the oldest recipient to bring home an acting Oscar. There were a few minor surprises, though. Meryl Streep’s prevailing over The Help frontrunner Viola Davis for best actress was a slightly controversial choice, given The Iron Lady’s frosty critical and commercial reception. The much-lauded actress herself even seemed to recognize that fact. Joking that half of America was no doubt irritated by her bringing home her third statue, she immediately launched into a self-effacing, warm and irresistibly humble acceptance speech (“Thank you for this inexplicable career”) that went a long way towards pacifying even the most ardent detractors. In the technical categories, The Girl with the Dragon Tattoo’s win for best editing left even the victors in a state of shock (“Let’s just get out of here…!”), and Hugo’s triumph for achievement in visual effects upset expected champion Rise of the Planet of the Apes. Many thought Apes was a lock since praised mo-cap performer Andy Serkis was snubbed in the supporting actor category. By dropping the usual song numbers and extended best picture clips, the Oscar cast’s small handful of special segments were given more time to breath and settle in. A series of interview clips with actors talking about the magic of movies, and the films that inspired them (few would have guessed Brad Pitt fell in love with acting after viewing the Toho monster campfest War of the Gargantuas) were a fun treat, as was a gravity-defying performance by Cirque du Soleil that, allegedly, replicated the experience of going to the theatre. The true show-stopper, however, was a side-splitting recorded bit in which the amazing Christopher Guest and his crew of improv all-stars (Eugene Levy, Fred Willard, Catherine O’Hara and Jennifer Coolidge) recreated a 1939 Wizard of Oz focus group session. With Levy muttering cluelessly about the disconnect between Kansas and Oz, and Willard waxing poetic about flying monkeys, it was an embarrassment of comedic riches that just kept building to deliriously new absurd heights. 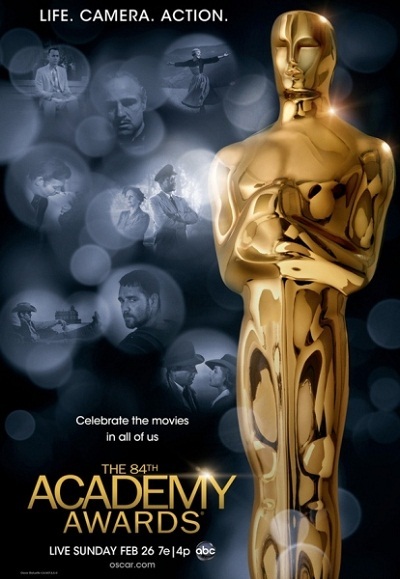 The Academy should seriously consider handing 2013’s ceremony over to those guys! All in all, it was a pleasantly old-fashioned affair that honoured cinema, and the legacy of the awards, with enough nostalgia, glamour and good humour to keep viewers engaged for the three-plus hour run-time. Sure, it was often tempting to poke holes in the committee’s stodgy nomination choices, but you know what? Hopefully they’ll get it right next year. Or maybe the year after that.